The trawl Sector of the West Coast Groundfish fishery was put into an Individual transferable quota (ITQ) management system on Jan. 1, 2011. There is already evidence that the ITQ system has lead to a reduction in bycatch and will lead to the overall improvement of economic and environmental performance of the fishery. However, history has shown that the increased costs of participating in this fishery with ready transferability of Quota will drive consolidation of the existing fishery to fewer larger vessels in the strongest market ports. We have created this fund to counter the consolidation effect and preserve our working waterfront and traditional commercial fishing culture. While we can secure a minimum level of the historic landings in our area, more will need to be done collectively to reduce smaller vessel costs, improve local market conditions, develop innovative strategies to lower bycatch/Overfished Species (OFS) interactions, and collectively achieve economies of scale. The CQF will work to reduce monitoring costs, especially for smaller vessels. The cost of maintaining 100% human observers can effectively force elimination of smaller vessels from the industry. The CQF supports NMFS adoption of a cost effective electronic monitoring (EM) program in place of 100% human observers. A White Paper on the consolidation effect of not reducing the 100% human observersmonitoring costis located under the “Documents” link to the left of the screen. The CQF supports efforts to refinance the existing loan funding the 2003 Pacific coast Groundfish Fishery Fishing Capacity Reduction Program. Currently the interest rate on this loan is 6.95% which creates an unfair cost burden on trawl fishery participants through excessive landing assessments. The CQF has begun working with industry representatives on marketing strategies to improve fishermen’s ‘at-the-boat’ prices and California consumer access to fresh local seafood. The CQF will work with buyers, NGO’sand consumer groups to further marketing and branding of fresh California seafood. 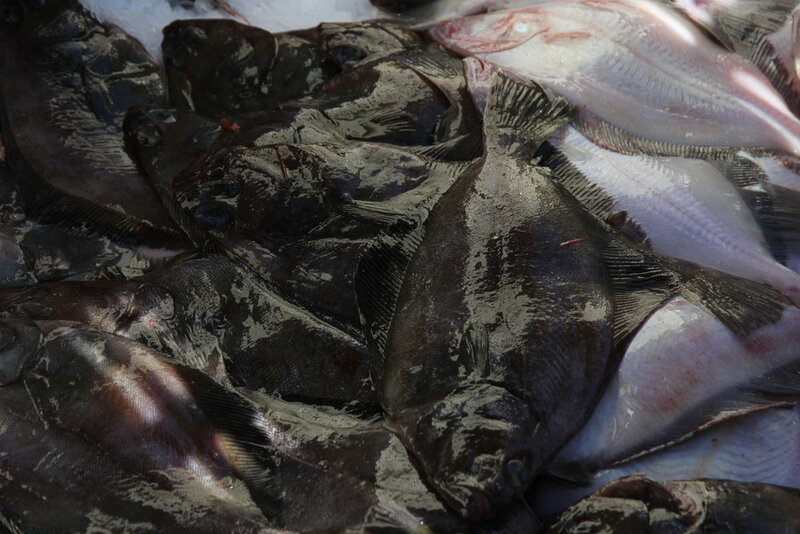 The CQF will work to strengthen the Groundfish Risk Pool that helps fishermen adapt to the regulatory constraint of tight limits on Overfished Species (OFS) Quota, and design fishing plans aimed at avoiding bycatch of OFS. This work will provide better access to traditional trawl species that are limited due to OFS interaction and will facilitate innovation in gear and fishing methods to harvest robust fish stocks that are currently underutilized, and add to the overall groundfish “value” equation without taking from landings elsewhere. The CQF will work to have the West Coast Trawl ITQ program adopt an exception to the ownership control limits for Community Fishing Associations, to allow community oriented non-profits such as the CQF accumulate sufficient Quota Shares (QS) to collectively manage costs and create local economies of scale.